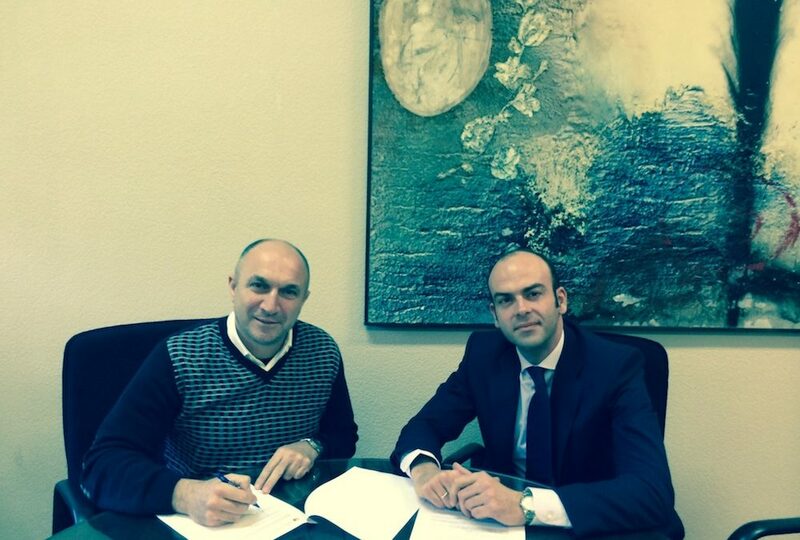 The Royal Andalusian Golf Federation has reached an agreement with University Golf Program Malaga by which aims to provide support to the promotion and excellence of the UGPM programme. The agreement was signed this afternoon in the RFGA headquarters by Angel de la Riva (President of the Royal Andalusian Golf Federation) and Javier Martín-Montalvo (Director of UGPM) in the presence of Pedro Montiel, Director of Sports at the University of Málaga; Luis Navarro, Chairman of the Committee for the Promotion of RFGA; Miguel Navarro, Secretary General and Chief of RFGA; and Patricia Jimenez, Member of the Committee for the Promotion of RFGA. Thus, both entities establish links to help young golfers to continue their sports careers and college education at UGPM instead of being forced to emigrate to USA for doing so. In addition, with this new agreement, the Royal Andalusian Golf Federation continues to demonstrate its commitment to promote the golf sport among youth and shaking its excellent relationship with the University of Málaga. AS a reminder, University Golf Programme Malaga is an exciting, new programme which offers aspiring young golfers in Europe with an alternative choice to the USA to combine academic studies with a high performance golf emphasis. The academic studies take place at the University of Malaga (where courses are taught in English & Spanish) and the golf training is mainly hosted at Guadalhorce Golf Club and includes technical, physical and mental preparation. Importantly, the programme is also supported by the Andalusian Golf Federation and designed for international players (even if they are not familiar with Spanish yet) given the language support, international desk and English taught studies offered by the University of Malaga, becoming a really unique opportunity for players from all over the world to continue their golfing and education careers in an ideal place such as Malaga in Andalucía for doing so.